My mother Sara got married to my dad when she was only 17, and she moved to the countryside with him. Soon after, my dad showed his true colors by locking her in the house and verbally and physically abusing her. I was two months old when my mom discovered that my dad’s erratic behavior stemmed from a serious addiction problem. My dad was a mechanic for industrial heavy machinery, so he had a good income; but all of his money was spent on drugs. I was only 4 years old when I first witnessed my dad injecting drugs. My mom did every thing she could to try and keep my dad off drugs, but she couldn’t. The story of her life is a book of its own, full of pain and misery. I was her only hope in life. Eventually, my dad’s addiction spiraled out of control and drove us into poverty. My mom and I turned to panhandling, but we would scrape together very little cash. My dad ended up leaving us; and we moved in with my grandfather, where we stayed for about a year until a shelter in Shahr e Rey took us in. The shelter was dark, filthy, full of insects, and there was no shower. When I was 7 years old, I was sent to school by the shelter. My mom was very supportive of my education. Finally the clouds parted and Anjoman e Yaran e Danesh va Mehr (KCIS’s sister organization in Iran) came into our lives. They were more than just a charity! In addition to financial aid, they guided me and helped me find my confidence in life. Because of them I found my inner strength and realized that I could overcome the circumstances of my life and determine my own place in society. I was encouraged to study even harder and I achieved high grades in all my classes. 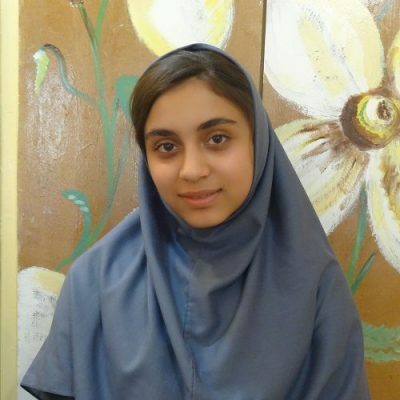 I scored high in a science contest in Tehran, and I was admitted to an exclusive school for exceptional students. I also studied English and excelled at it. This past summer, I submitted an English article titled “Ways to Prevent Children from Drug Abuse”, along with a poster that I designed myself, to an international conference on addiction treatment and therapy in Denmark; and I was awarded first place. With the help of AYDM, having faith in myself, and hard work, I hope and plan to attend medical school. By doing so, I’m hoping that I can someday repay my mom for all her sacrifices, and everyone else who has been there for me and my mom through tough times.